Hot tubs are an increasingly popular feature in luxury holiday rentals and increase the average income per booking as well as the number of bookings per year because a hot tub extends the season beautifully and offers guests that little bit extra. What makes Softubs such a great choice for a holiday homes is the simplicity of installation, operation and maintenance as well as the low running costs. The durable yet soft memory foam material of a Softub makes the product very comfortable, the barrier free basin allows as many or as few people to use the tub as is appropriate and the relatively low sides and tactile materials allow for safe and elegant entry without the danger of slipping and twisting an ankle on holiday. Finally, Softubs are a verystylish product that will add to the overall look and luxurious feel of the property rather than some other products that may possibly be considered to look somewhat cumbersome and unsightly. As well as beautiful design our Softubs also boast whisper technology motors which ensure that guests can star gaze in peace and quiet without disturbing wildlife, neighbours or other guests. "My cottage had been empty for 3 years when I began to do it up for self-catering. I asked people who booked s/c holidays every year what the first feature was that hey searched for and the most common answer was a hot tub. As I had spent ages getting the garden (overlooked by three stunning stained glass windows in a disused chapel) looking really nice, I wanted the tub to look the part as well as be economical. I came across Softub when a couple I knew bought one; I talked to them regularly about how everything was going, and after they'd had it for a year and were still pleased with it, I went to see it, with all my questions written down, and we talked for ages. I finally had mine installed in May; I spent June, July and August really getting to know it. At first it felt a bit like having a new baby in the house; but gradually I became familiar with all the literature and the day to day maintenance so that by September, when the cottage was finally ready, I knew what I was doing. Photographs were taken on 23/9/16 and at 4.30pm on 25/9/16 the property went live on airbnb as 'detached cottage with hotub'. By 6pm I had two bookings. The following day another two. So it went on. A 6 night booking that would have been £650 if we were lucky is now sold at over £1000 with the tub. Similarly Xmas would have been £800 but is now sold for £1200. (figures from the agent). he only other cottages with this many bookings between now & Xmas are the 5 bedroomed cottages, which are busy because there are not many of them. If this continues, the tub will pay for itself sooner than I had hoped. Obviously, operating a tub within a holiday let is more challenging than having one for yourself. I have spent lots of time, tweaked instructions, re-written and repositioned signage, and made sure I kept testing the water myself. It's a steep learning curve, but I've so far always found solutions. eg I started with a jiggle syphon and now have an electric pump. Softub staff are always very helpful with finding solutions. Some stuff I've had to find out myself like regulations re septic tanks and National Parks which does need to be looked into if like me you live in one. The best moment was seeing my own family enjoy it before we went live; the worst was when 'merry' guests left the tub dirty, with a glass lurking in the bottom, and - mystifyingly - turned down to 25 degrees!!! It looks fantastic in the dark, with the tub light on, solar lights around the garden, and the stained glass windows illuminated - which makes for great photos for websites. The only difficult bit about using it is getting out! I've had to install an outside clock to curb sessions going on too long!!" "Cairnton Farm Cottages were established 5 years ago, on a traditional Aberdeen Angus Cattle farm. It has tremendous views over Royal Deeside looking south to the Angus Glens. 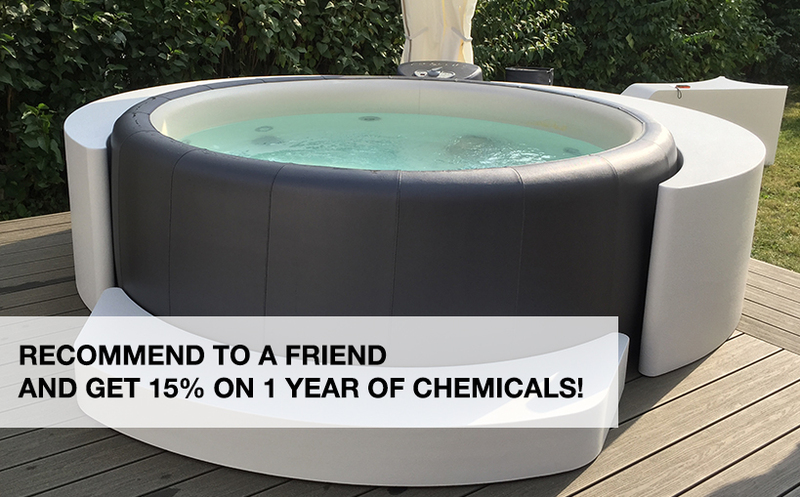 They are very high spec and last year (2014), we purchased 4 Softubs from Vacuna Living. Since then, occupancy and spend have increased AND we are gradually decreasing the age of our customers. The younger they are, the more likely they are to spend at our Deeside Activity Park business. Softubs has delivered this, and we are really pleased with the practicalities of owning and maintaining our Softubs. 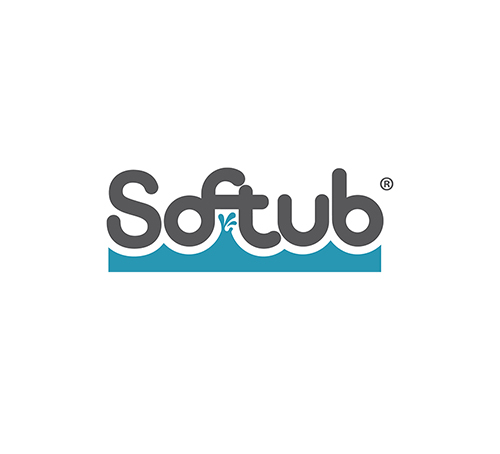 We are keen to become a Softubs ‘dealer’ for this part of Scotland and believe we’re best placed to do this as we are already Softub operators. All in all, we cannot recommend the product and the service provided by Joe and Daniela, highly enough." Ken Howie, Cairnton Farm Cottages, Deeside"
“Here at Cottages for Couples in Ireland we have been inviting our guests to ‘join the jet-set’ with a Softub experience for over 15 years. We shall soon be unveiling our tenth cottage and as always a Softub will be our USP. When guests go looking for a luxurious short break we know that having their own private Softub keeps us one step ahead of the competition”.